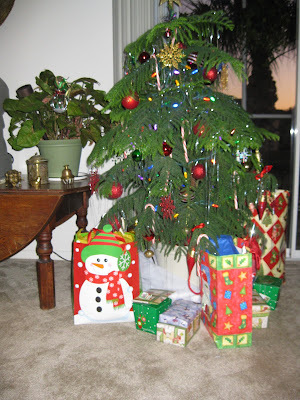 arts-4-all: 12 Gifts of a Florida Christmas...lakeside style! 12 Gifts of a Florida Christmas...lakeside style! -a Kingfisher in an oak tree. -two Green-backed Herons, and.... etc. -three Glossy ibis, two..... etc. -four basking turtles, three.... etc. -five Great Blue Herons, four.... etc. -six Anhingas swimming, five.... etc. -seven Osprey's hunting, six.... etc. -eight Cormorants diving, seven.... etc. -nine Flamingoes fishing, eight.... etc. -ten Fish Crows calling, nine.... etc. -twelve Wood Storks wading, eleven.... etc. My Norfolk Island Pine drooping under the weight of the ornaments!! Merry Christmas, Susan. I am fortunate to have met you at the zentangle ATC swap!! Looking forwared to continued sharing . .. happiest of holidays to you & yours. Merry Christmas to you too, Susan. I like your alternative version of the 12 Days of Christmas! Love your 12 Days of Christmas! We are waterfowl nuts too! We moved from Miami to North Georgia 30 years ago, mainly by choice but it made my husband's work easier as well. I never regretted the move... until this morning, that is. When I walked the dog it was 27 and the wind chill was 11! I came back into the house and said to my husband, "What exactly were we thinking when we moved here?" LOL This too shall pass, but for now it's pretty horrible!